If you’ve had the pleasure of making the commute home this afternoon like I have, you’ll know how our storm is doing. 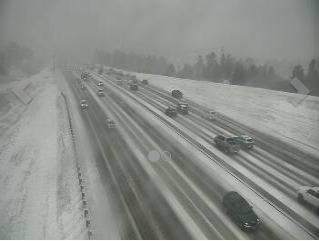 The heaviest of the snow is now falling in areas around Douglas county and into Jefferson county. This band is not completely unexpected as most models showed it quite clearly. The unexpected bit is that this band was 30 miles South on nearly every model… so you can see why this snuck up on us! Higher winds all day allowed the ground and roads to cool sooner than anticipated, meaning snow start sticking much earlier in the storm cycle. A surface low has set up in a good position over the Southeastern corner of the state. 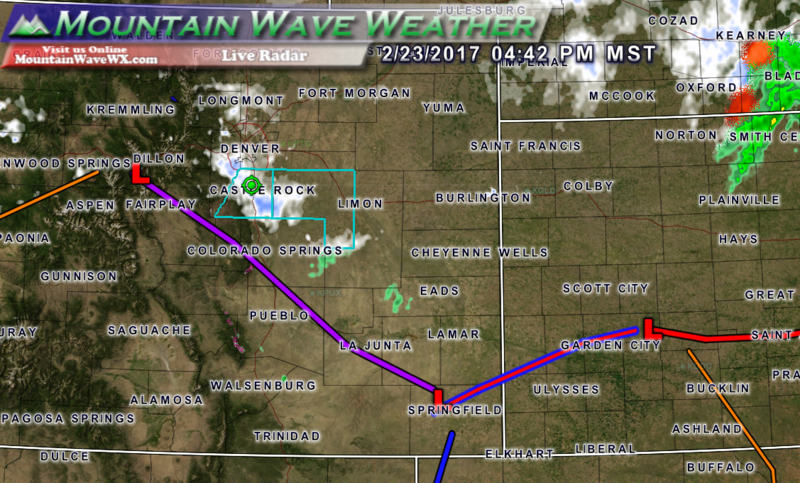 While this feature is not strong enough to give us a (blizzard) type storm with feet of snow, it is aiding in stronger snowbands South of Denver. Road crews seem to be following this morning’s forcast as plows and sand trucks have been hard to come by. 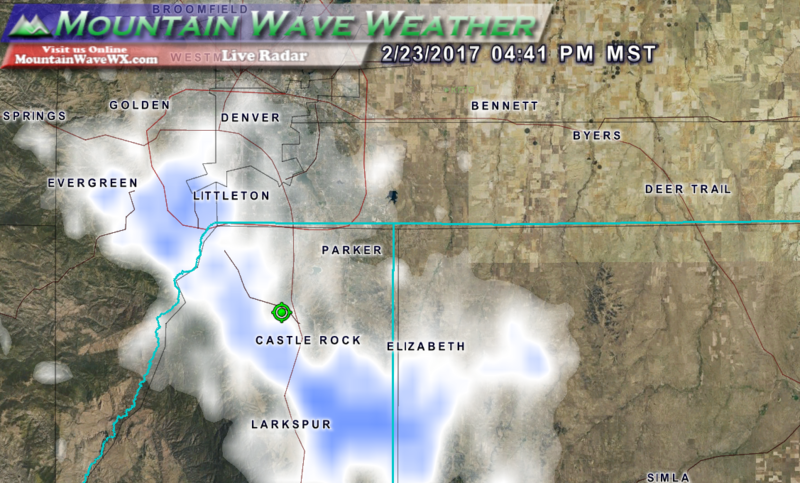 I didn’t see a single one from the tech center down to Castle Rock, making for miserable driving conditions. 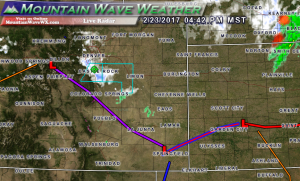 Models have been upticking snowfall slightly especially across the Palmer Divide. 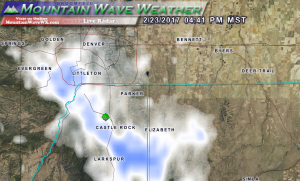 A heavier snowband that was originally thought to set up further South has set up over the Castle Rock, Douglas County, Elbert county and Jefferson County areas. 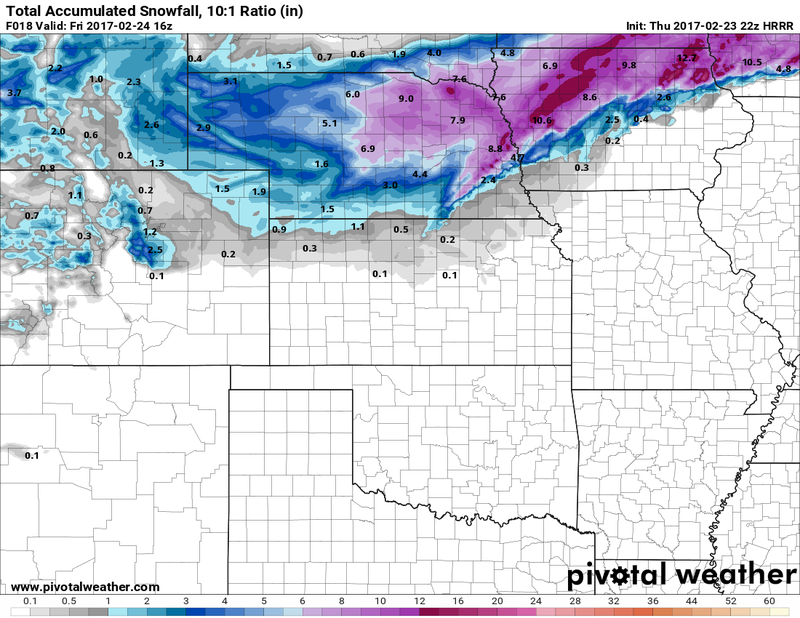 As such, we’ve upped our own forecast slightly, but this storm will not drop feet of snow, again we will gladly take the more than anticipated moisture. The only bad part is the height of this snow is hitting during rush hour, making things tricky! 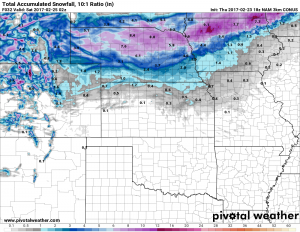 Snow will continue through Thursday evening, gradually dimishing late. Some areas may see snow end earlier or start later due to the snow banding. There is an additional slight chance for snow on Friday, we’ll keep an eye out for that. 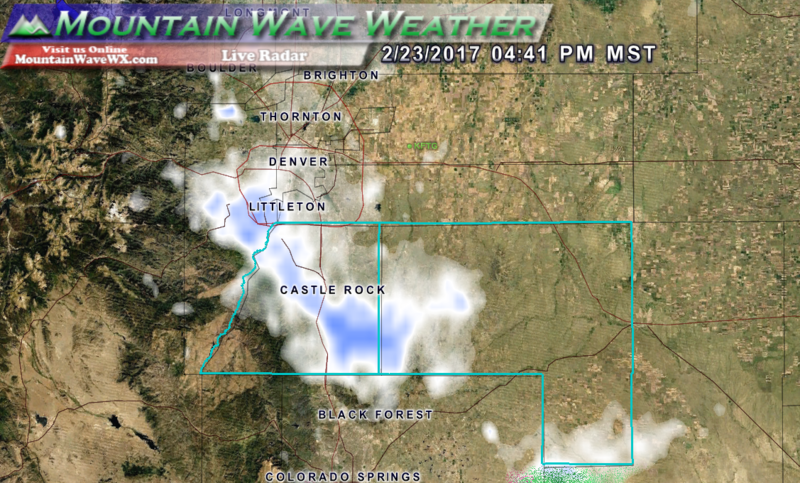 2-4 inches is now expected for the Castle Rock area. Some areas to the South may see slightly more, while areas to the North and East could see less. The amounts will vary considerably based on who gets set up underneath the snow band and how long it stays. Expect moderate to heavy impacts this evening in regards to traffic. It doesn’t seem like road crews have been out much so expect things to be very slick and traction to be non-existent. Cold temperatures will linger into the overnight hours making for a slick commute possible on Friday morning. The snow should generally end by early Friday morning. 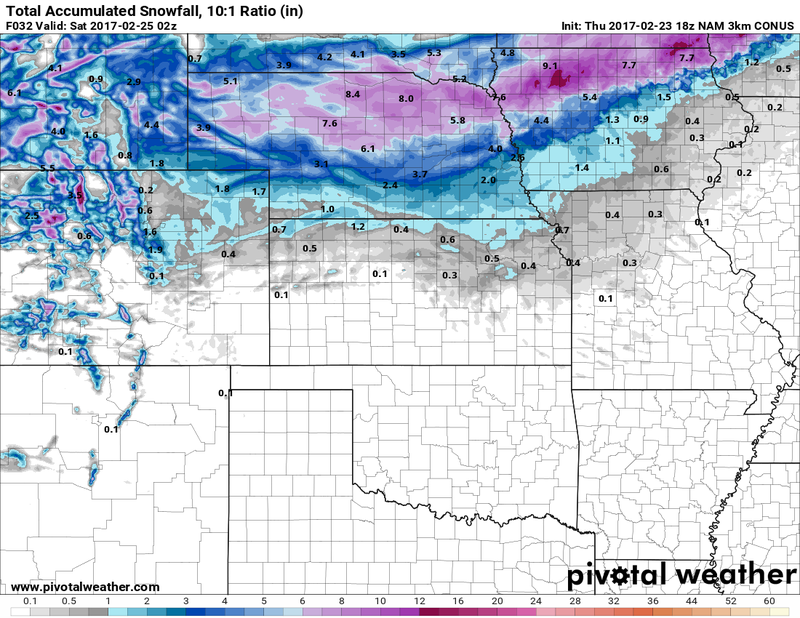 3KM Nam shows more snow across Douglas County than originally forecast this morning. It’s going to be a slick drive home, take it slow and be careful!